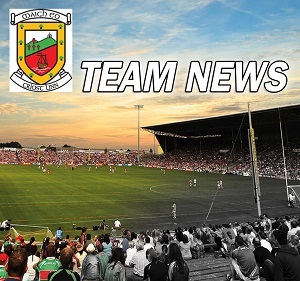 We note that the Mayo v Kildare Round 3 qualifier has now been for St Conleth’s Park, Newbridge, at 7pm, on Saturday.Mayo GAA is awaiting full details from the GAA in relation to tickets for this fixture. We expect that all Mayo GAA season ticket holders will get access to a ticket for this game. There may also be a very limited number of tickets on sale to the general public online & through SuperValu and Centra outlets.In relation to supporters who had purchased tickets for the game ..
Mayo are back in action tomorrow as they face Tipperary in Round 2 of the football Qualifiers in Semple Stadium. Following an 18 point win over Limerick in Round 1 Stephen Rochford makes 3 changes to his starting team. Out go Eoin O'Donoghue, Evan Regan & James Durcan with Lee Keegan, Jason Doherty and Andy Moran all starting. All three players came off the bench in the Round 1 win. 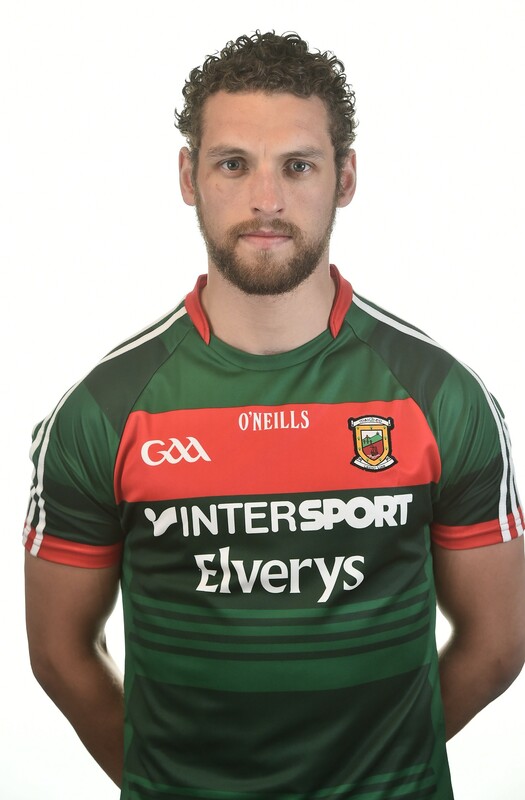 Tomorrow sees 4 time All star defender Colm Boyle making his 100th Mayo appearance(45 championship & 5.. Round 3 of the Connacht U17 championship takes place tomorrow as Mayo face Sligo in Elverys MacHale Park.Following one win and one defeat from their opening two games Mayo need a win if they want to progress to next months Connacht final. Throw-in tomorrow in Elverys MacHale Park is 12.30pm:1. Ronan Connolly - Ardnaree Sarsfields2. Alfie Morrison - Louisburgh3. Luke Dawson - Westport4. Sean Holmes - Knockmore5. Evan Ivers - Belmullet6. Conor Dunleavy - Balla7. Aidan Cosgrove - Kiltimagh8. .. 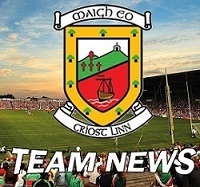 The Mayo U20's face Roscommon in Sundays Connacht final in Dr Hyde Park. Following a win over Leitrim last week manger Mike Solan makes just one change to his starting team with John Maughan replacing Rory Brickenden at corner back. Mayo last won an U21 title in 2016 when they also beat Roscommon in the final. This game is the curtain raiser to the Connacht Senior final. Throw-in on Sunday in Dr Hyde Park is 1pm:1. Patrick O Malley - Westport2. Johnny Maughan - Castlebar Mitchels3. Brian O M..
Mayo get their championship campaign back underway tomorrow evening when they face Limerick in the Gaelic Grounds at 6pm. Following defeat to Galway last month Stephen Rochford makes 4 changes to his starting team. Out go Tom Parsons(injured), Diramuid O'Connor(suspended), Jason Doherty & Conor Loftus with Ger Cafferkey, Cian Hanely, Evan Regan & Cillian O'Connor getting a start.Cian Hanley gets his first competitive start for the Senior team having come off the bench against Gal.. 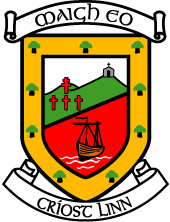 The Mayo U20 football team get their Connacht championship campaign underway tomorrow as they face Leitirm in Elverys MacHale Park in the Connacht semi-finals. Manger Mike Solan is in his third year in charge and can call on a number of players from last season's campaign. The winners will face either Roscommon or Galway in the U20 final on June 17th in Dr Hyde Park. This game is the curtain raiser to the Connacht Senior final.Throw-in tomorrow in Castlebar is 1.30pm:1. Patrick O Malley.. The 2018 Cul Camps will take place in clubs across Mayo in July & August. Kellogg's GAA Cúl Camps provide boys and girls – between the ages of 6 and 13 – with an action-packed and fun-filled week of activity during the summer holidays which revolves around maximising enjoyment and sustaining participant involvement in Gaelic Games.To guarantee your spot at your choose venue we encourage to book online in advance of the camp. All full list of venues & dates is avail..
On Saturday, Tom Parsons underwent the first part of two stages of surgery to repair his damaged knee structure. In the coming weeks and months, further specialist opinion, surgery and rehabilitation will follow.Tom remains upbeat and positive and is extremely grateful for all the kind messages of support he has received from GAA colleagues, opponents and followers all over the world.He will continue to receive the best possible care and support during his recovery process and all involved with .. 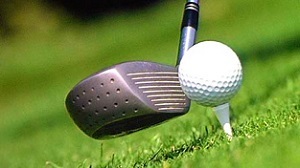 There was a great turnout in Claremorris Golf Club for the 2018 Cairde Mhaigheo golf classic. Well done to all the winners and thanks to those who supported it. Also big thanks to Tommy Goonan for his great work in organising such a great event.PlaceTeamScorePrize1stConor McGuinnessEoin PrendergastDavid O ConnorEvan Hughes974 All Ireland Tickets and Overnight at Citywest Hotel and a round of Golf2ndNiall StauntonJohn StauntonVinny LarkinShane Walsh964 x €100 vouchers for Eddie Egan Jeweller.. The eagerly awaited Connacht championship clash between old rivals Mayo & Galway takes place this Sunday in Elverys MacHale Park. Following Connacht championship defeats to Galway in 2016 & 2017 Mayo will be hoping to get one over on their old rivals this Sunday and avoid a trip to the qualifiers for the third successive season. Mayo have one championship debut with Eoin O'Donoughe starting at corner back. This Sunday will see current footballer of the Year Andy Moran make an incredi..